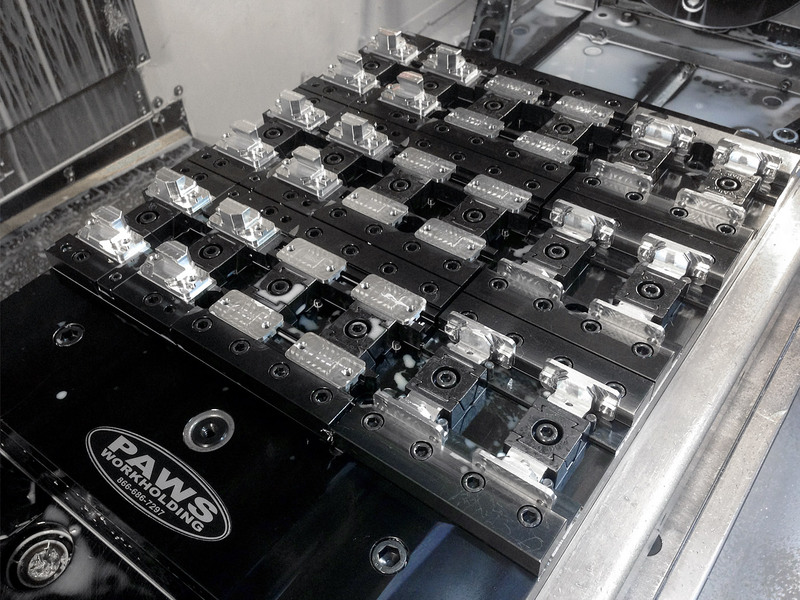 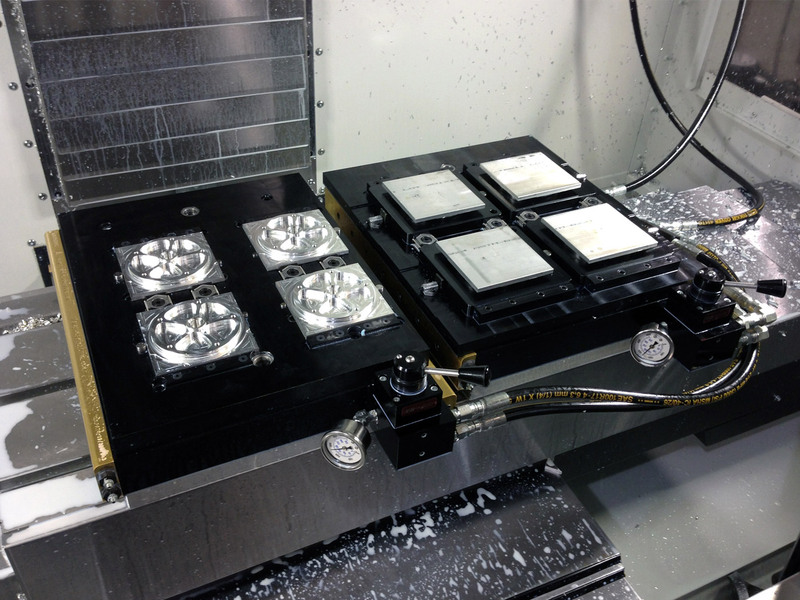 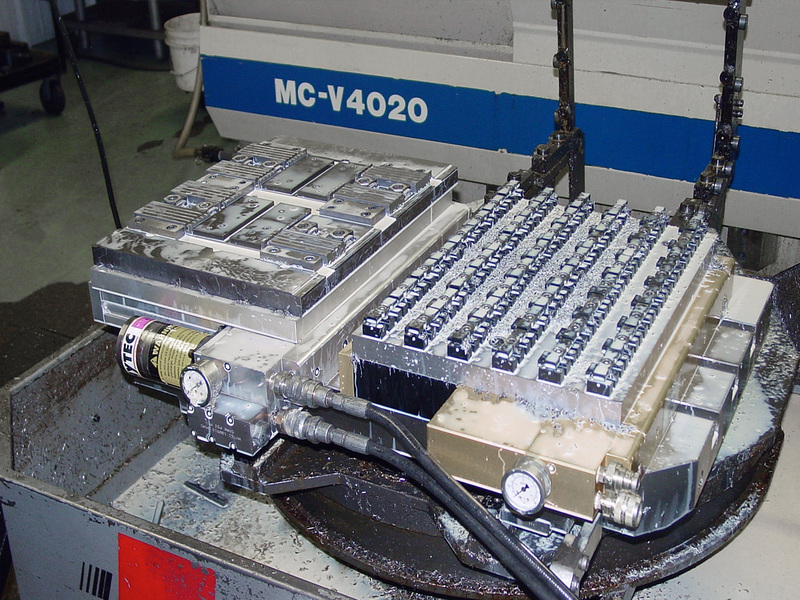 PAWS Workholding will design and build multiple part workholding fixtures to fit your specific application. 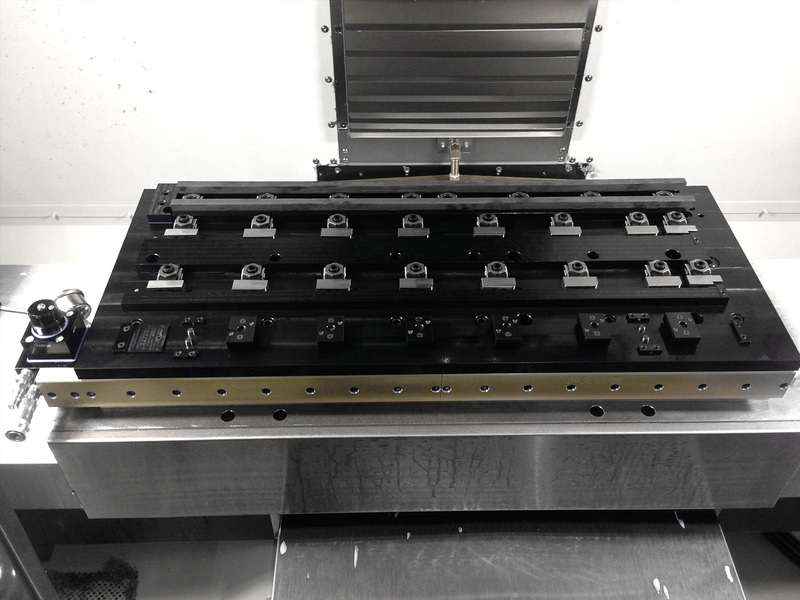 Our system utilizes a low-profile, non-dedicated hydraulic base plate with dual-acting pistons that automate clamping in CNC Milling environments. 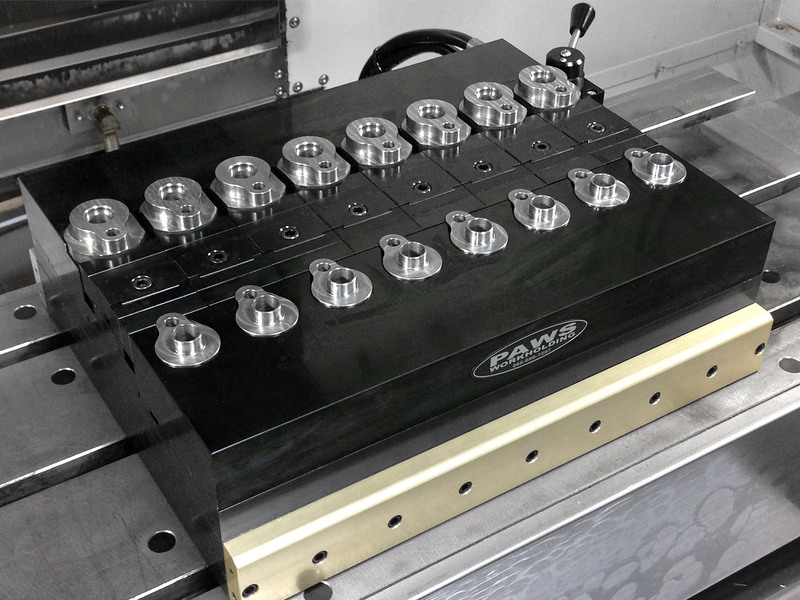 Available in several sizes, the PAWS hydraulic base plate offers embedded pistons (or points of clamping) every two inches on center. 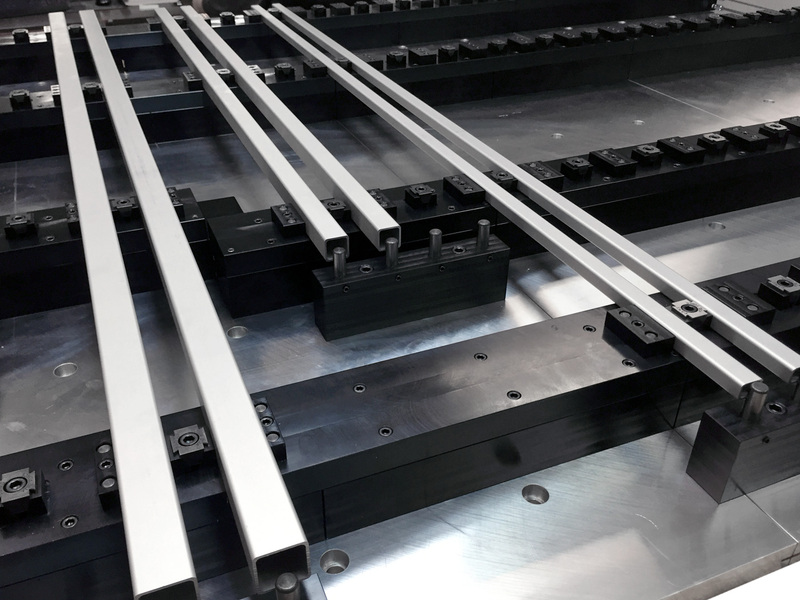 This gives the user a clamping point grid map, or foundation, for creating automated clamping fixture plates. 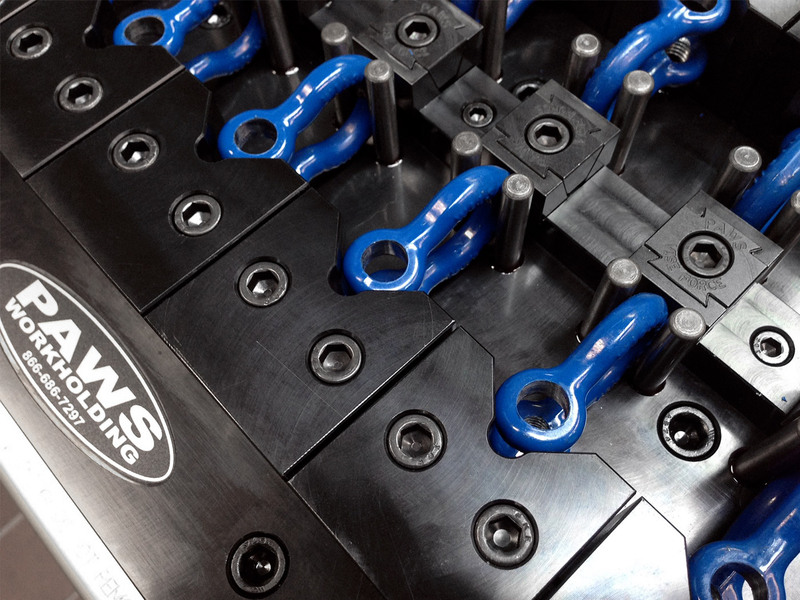 Clamps placed on the fixture plate are linked to the pistons underneath with socket head cap screws that pass through the fixture plate and into the ID thread of piston. 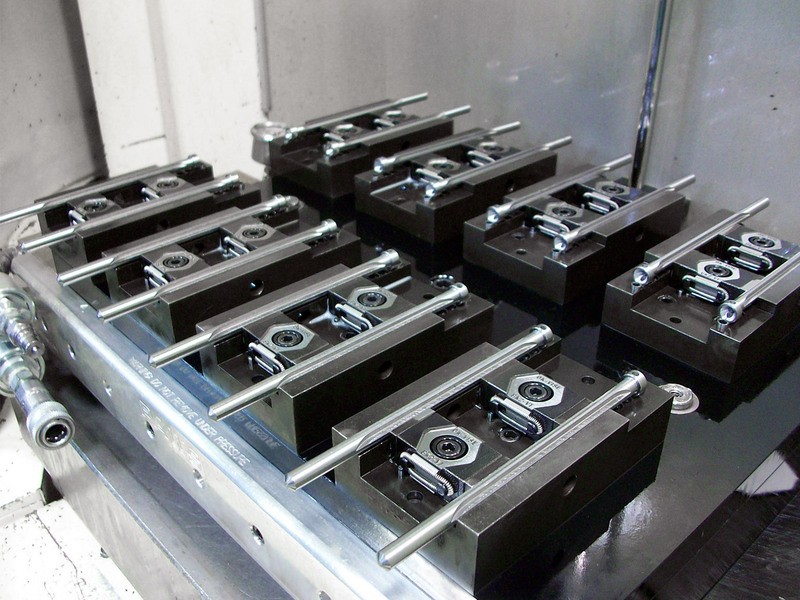 Considering part size, part configuration, and tool clearance, you select the points of clamping that best meet your needs. 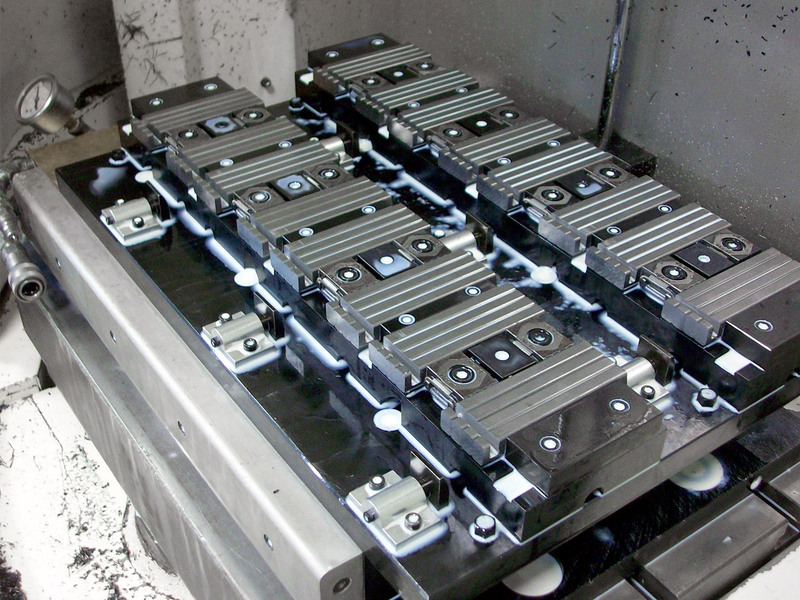 Our standard fixture plates are counter-bored underneath to provide clearance for piston movement up and down.